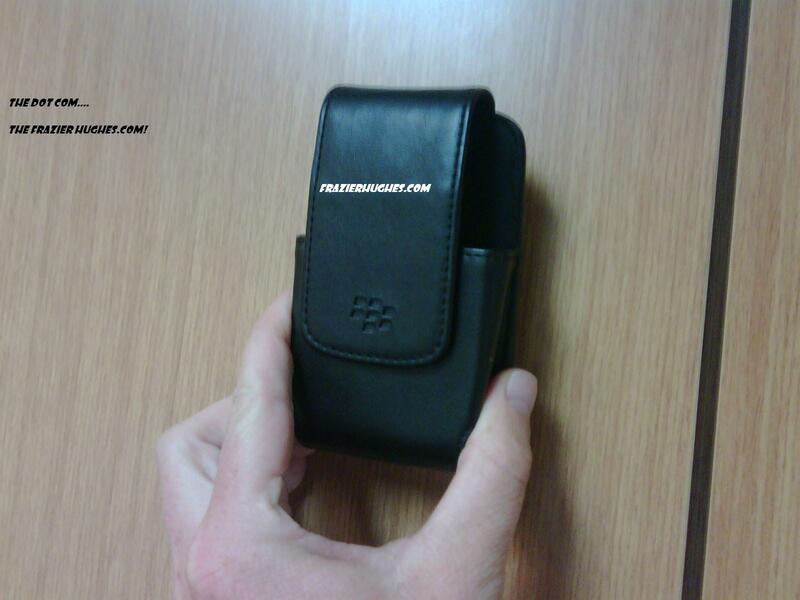 Okay, you may think the Blackberry Phone Holder looks Nerdy. Well, it does. But I found out yesterday at the AT&T Store by one of it employees that it does serve a purpose. Not only does it hold your Blackberry with a Clip to your waist but it also has a Magnet inside that preserves the battery life by shutting down all functions except ring tones. I tried it today and only had to charge my battery once for a brief time. It really works! Wow! Am I the only one who knows this? Or do I sound stupid? Of course I am far from Stupid… I am FraZierHughes.com! Here’s What The Pros Say To Save A Life! of a Battery of Course…. All current Blackberrys use a Lithium-ion battery, or “Li-ion” for short. In the past, some BlackBerry devices used a Nickel-metal hydride batteries, or “NiMH”. This article focuses on the Li-ion battery. One of the most often asked questions on the BlackBerryForums is about battery use, charging and draining. From my reading, there is lot of confusion over the false belief that new batteries must be conditioned and fully drained before charging. I hope these tips below help some users form some good battery habits! 1. When you get a new Blackberry, charge it fully to 100%. There is no 120% or 130%, so once it hits 100%, it is fully charged. This normally takes about 2-4 hours for a new device. There is nothing wrong with “over-charging” the battery, however there is no real need to do so. Sometimes, new Li-ion batteries will come fully charged out of the box. 2. There is no “break-in” or “conditioning” required for the Li-ion batteries. They do not need the old “fully discharge – fully charge” routine for the initial three charges as was recommended on older battery technologies. 3. If you are a brand new BlackBerry user, keep in mind that you are likely using (or playing with) your BlackBerry much more the first few days than in normal routine use. If you think you are having quick battery discharge issues, give yourself a week or so until your daily BlackBerry usage levels off to a perceived normal amount. Don’t freak out after the first one or two days if your battery depletes itself halfway through the day–You’re probably using the device at a higher than normal use. 1. There is no memory on a Li-ion battery, and thus it is recommended that you “top-off” the charge regularly during the day when possible. Ten minutes now and then on your wall outlet, automobile or USB cable is recommended. 2. Roughly every 30 charges, deliberately discharge your battery to 10-15%, and fully charge to 100% afterwards. This will help maintain the accuracy of the “fuel gauge” on the device (your battery meter or scale). It has nothing to do with the battery memory (as mentioned, Li-ion batteries do not have memory) but helps maintain the accuracy of the device’s percentage of battery charge left. 3. Don’t drain your battery every day to 10-20% of its charge. You can actually expect battery problems by draining the battery. Again, to repeat, top-off your charge during the day whenever convenient – even ten minutes in the car or at your desk will give you an extra 20-25% charge. 1. A BlackBerry constantly searching for signal drains the battery quickly. In an office building, residence, or rural area with low signal coverage, you will experience a quicker battery drain. Turn off the “radio” on the homescreen or the data signal if you must reduce battery drain in severe circumstances (Options > Mobile Network > Data Services = OFF). 2. Check your applications running in the background. Press your Menu key and then choose Switch Applications to see what is running in the background (or, hold down the Menu key about 3 seconds for the App Switcher ribbon to appear). There are commonly four or five applications that will always be running (Messages, Call Logs/Phone, BlackBerry Messenger, Homescreen, and the Browser; there are others such as BeamBerry and Alarms which will also run). Make certain that the browser is NOT on an active webpage (should return the bookmarks page only). Close any other applications that do not need to be running (the camera or a game you were playing or Google Maps). Applications like GoogleMaps and streaming audio apps such as Pandora or the Media Player left running in the background are big battery drainers. 3. Turn off the Bluetooth connection when you don’t need it (Options > Bluetooth). 4. Some applications such JiveTalk have a “battery save mode” when idle. Log off applications such as JiveTalk, AIM, Google Talk if you are not using them for long periods of time. 5. Use your sleeper-magnet enabled holster. The magnet in the holster is there for a reason – it puts the BlackBerry to sleep, saves the battery, and makes you a happy camper. 6. Turn your backlight down to 80%… for many, that is a barely noticeable difference in the screen brightness (Options > Screen/Keyboard). 7. Get an extended-life battery if you think you need it (Seidio Online has many choices for various models). 8. Li-ion batteries have a typical life-span of 300-500 charges, which averages out to approximately two years. A Li-ion battery will normally maintain more of a full capacity charge and then “quit working” suddenly, rather than gradually becoming worse in performance . 9. Store a Li-ion battery with about a 50% charge at normal room temperature. Hot temperatures (like an auto glovebox) will drain a stored battery quickly, and charging will take longer in extrememly hot climates, above 100 degrees.